The regular opening times of Ladbrokes Melton Road in Leicester are Monday to Friday 8AM-10PM, on Saturday 8AM-10PM, on Sunday 9AM-10PM. However, these can change upon the time of year as big sporting events vary can vary the shops opening times. If this Ladbrokes isn’t nearby your location you can use the ‘Map & Directions’ listing below to navigate you to the betting shop. 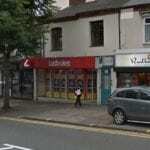 The photos below show the shopfront betting shop of Ladbrokes situated on Melton Road in Leicester. The branding of the Ladbrokes shopfront is easy to recognise with the red background and white letters. I personally think this is because they are amazing at raising brand awareness with many TV Advertising campaigns they do throughout the big sports events. Below shows the opening times and closing shop times. However, beware because certain times of the year with late night shopping these can vary slightly. For more information about opening times on Sunday or late night, shopping make sure to view the information below because we try to keep up to date on special offers ran by Ladbrokes and events in the area of Leicester. Ladbrokes Melton Road in Leicester is open 7 days a week because now Sunday horse racing has grown in popularity. If you want to find the closest Ladbrokes shop near your location please click through to all the UK locations. 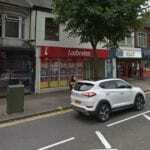 Ladbrokes is a licensed Betting Shop located at 159-161 Melton Road in Leicester LE4 6QS. The license status: Grant by Leicester City Council as at 18/03/2011. 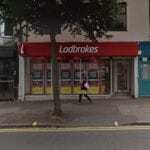 This Ladbrokes betting shop is located in Leicester under the LE postcode. The LE postcode area, also known as the Leicester postcode area, is a group of postcode districts around Coalville, Hinckley, Leicester, Loughborough, Lutterworth, Market Harborough, Melton Mowbray and Wigston in Leicestershire, as well as Oakham in Rutland, along with parts of Northamptonshire and Nottinghamshire in central England. The population of the City of Leicester was 348,300, making it the most populous municipality in the East Midlands region. The associated urban area is also the 11th most populous in England and the 13th most populous in the United Kingdom. So you can understand why Ladbrokes want to have several betting shops in the Leicester district. Leicester is at the intersection of two major railway lines – the north/south Midland Main Line and the east/west Birmingham to London Stansted CrossCountry line; as well as the confluence of the M1/M69 motorways and the A6/A46 trunk routes. Leicester is the home to football club Leicester City who won the Premier League title. Ladbrokes had the odds of Leicester FC winning the Premier League at a huge outsider price. They are a huge brand in the football betting niche and at Ladbrokes they offer odds on all Leicester City FC games. Leicester Tigers have been the most successful English rugby union club since the introduction of a league in 1987, winning it a record ten times, four more than either Bath or Wasps. They last won the Premiership title in 2013. At Ladbrokes they regularly give big bonuses on the Rugby Union games. Leicester Riders are the oldest professional basketball team in the country. In 2016, Leicester Riders moved into the new Charter Street Leicester Community Sports Arena. If you wish to place bets on basketball, please make sure to check out the basketball bet types prior to placing any bets. Leicestershire County Cricket Club who are a professional cricket club based at Grace Road, Leicester currently play in the second tier of the county championship. They won the County Championship in 1996 and 1998. Leicester is a city in England’s East Midlands region. Leicester Cathedral, where Richard III was reinterred in 2015, has stood at the city’s heart for over 900 years. Close by, the King Richard III Visitor Centre tells the story of the king’s life and death and displays his original burial site. The ruins of Leicester Castle, where Richard III spent some of his last days, lie in Castle Gardens, near the River Soar.